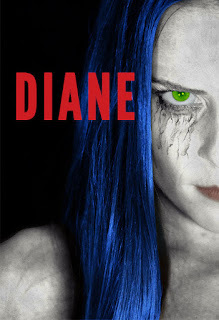 The body of singer Diane (Carlee Avers) is discovered by disabled war veteran Steve (Jason Alan Smith) in his backyard. Thinking she is the most beautiful woman he has ever seen he takes an ill advised picture of her lifeless body before calling the police. With no recollection of how she ended up in his yard he often looks at the picture he took and strives to find out what happened to her as it seems the police and his neighbours would rather accuse him of her murder then do real detective work. In his desperation for answers he discovers a lot more about himself then he cares to know. It begins with Diane (a nightclub singer) singing a sultry number directly down the camera like she is singing directly to you the viewer and then the story plays out pretty much in reverse. The killer is rather obvious but it is well told and does make you think a bit along the way. The two main characters are interesting and well acted. The same can't be said for the rest of the cast members but luckily most of the screen time is devoted to Avers and Smith so you can put up with others. I like the slow burn element to this as you piece together the story before the slightly defunct final reveal. Definitely more of a Thriller than Horror, there is a slight supernatural undertone but not a lot else. Effects are kept to a minimum but what there is, is ok. The soundtrack is good and I liked Dianes style and voice, the mystery surrounding her and her true mental state was also a good touch. The fact that a lot of the focus is on the character of Steve and his struggle with disability and PTSD it kind of throws you off her issues for the most part. On the whole this is not a bad watch at all, not exactly ground breaking but a solid story, well shot with some interesting characters. It drags a little on occasion but I did quite enjoy this one.